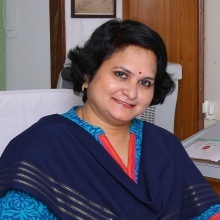 Sabitha Natraj is Head Of Corporate Communications at Southern Region, IndianOil Corporation Limited, India’s Leading Petroleum Major, with 25+ years of experience in Marketing and Corporate Communications. She possesses good expertise in loyalty program management, and corporate communications. Her core strengths include a creative working style to marketing/corporate communication issues, with extensive work experience in organizing events, media management, market driven campaigns, quality and cost conscious working style. She has good communication and leadership skills with the capability to manage a cohesive, harmonious team. She is very proud of her work rendered for the Khajuraho Dance Festival, in Madhya Pradesh during February 2015, which had commendable customer connect activities both online and offline. This work fetched IndianOil a GOLD TROPHY at the ABCI awards. Her name is included in the Globally recognized HALL OF FAME list of Public Relations Council of India (PRCI) for 2016. The handling of Chennai rains media crisis during December 2015, converting negative media stance into positive coverage for IndianOil, won a Gold Trophy from PRCI. The various internal and external customer oriented campaigns and programs helped her department to sweep nine awards at the PRCI forum including a Champion of Champion trophy for IndianOil South Zone during 2016. Their work has also been recognized by Press Club of Kochi, Kerala, with four NIB Awards during 2016. As an executive at Counter Point Advertising, Chennai (1990-1992) she was in charge of conceptualization of problem areas for brands assigned, including working out communication strategies and media promotions. She largely handled the shampoo brand called Chik Shampoo; the sachet revolution was taking roots and Chik shampoo was a frontrunner in the B, C class markets. She was instrumental in creating a distinct positioning of “Fragrance” for Chik Shampoo in 1991-92; The Jasmine and Rose fragrances were launched with this communication plank. Sabitha Natraj is a frequent Guest Speaker at schools and colleges. She has been the Guest of Honour for several inter school and sport events at Ryan International School, Navi Mumbai, where she has delivered addresses. She has addressed Management students at KJ Somaiya Institute of Management on “Significance of Loyalty Programs”. She has been a guest faculty for Communications at Indira School of Career Studies, Navi Mumbai. She addressed a large group of Post Graduate Communications students on “Significance of Corporate Communications” at Stella Maris College, Chennai recently.